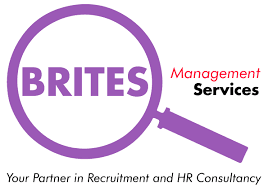 Brites Management Services is one of the best leading Recruitment and HR consultancy companies in Nairobi, Kenya. Our sole focus is to simplify the complexities of the HR department and help companies concentrate on the core business as we handle HR tasks more efficiently and accurately. Interviews will be done on a rolling basis until the position is filled.